We are specialized in travel to Indonesia on cultural tours, leisure trips, beach holidays, trekking tours, jungle safaris or diving cruises in Indonesia. We happily suggest and supervise tailor-made itineraries according to your wishes and interests and make sure, your holidays will be pleasant and enjoyable. Be it for your close familiy or on a trip vacation with friends. Indonesia travel tips, a choice of routes and destinations in Indonesia also combinable as tailor-made holidays in Indonesia. An exciting journey from Jakarta to Bali in about 10-12 days. Travel from Jakarta up the mountains to the old hill station of Bogor. Rest in between the plantations of the tea county, and enjoy great panoramic views when crossing the Puncak pass, before descending to Bandung. Mount a train for a relaxed ride through the scenic landscapes of Central Java. Dive into Java's ancient culture in Yogyakarta, Solo and surroundings. Get an idea of the power of nature while peeping into the throat of one of the volcanoes. Indulge in the otherworldly view across to the other volcanoes. Relax at one of the beaches or visit one of the exciting National Parks, and savour all the little experiences on your way. Indulge yourself for a few days in the intriguing culture of Bali. 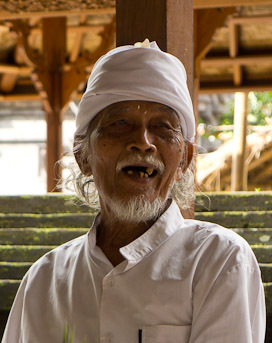 Experience Ubud and the surrounding villages, the cultural and artistic heart of this fascinating island. Embark on a cruise for dolphin watching off the northern coast, enjoy the beach life at Lovina in the North, Permuteran in the North-West or at Chandi Dasa in the East. You might sense Gunung Batur and the crater lakes up in the mountains, but above all you always see the physical presense of towering Gunung Agung guarding the island and you might feel the spiritual presense of Besakih temple at it's slopes. If you look for the experience of pristine nature, go hiking in Bali Barat National Park or in the vicinity of Munduk or Pupuan up in the mountains. Some nice resorts have been set up there. Last not least you have the sounthern parts of the island with Kuta Beach, Canggu, Sanur and vicinity, where after-beach-life is never far. If you prefer just hanging out on a romantic beach, you might consider taking a ferry to the islands of Nusa Lembongan or Nusa Penida a few miles off the Balinese coast. Lombok feels 20 years back in time compared to Bali, and the local volcano Gunung Rinjani (around 3700m) dominates the scenery. Ascending this volcano once in a lifetime, preferably for sunrise, is a wide-spread dream. Touristic infrastructure is much less developed, compared to Bali, and the erth quakes in 2018 did not help, which means that local culture is quite present. Sengigi Beach has some nice resorts, and further east the local Kuta Beach is being developed. More remote and fantastic beaches with excellent diving you find around the Gili Islands off the northern coast. Further inland on the lush slopes of Gunung Rinjani the first small resorts have opened. Java is pregnant with an old and rich culture, and while travelling through a stunning landscape, you can feel it everywhere. Mingle with the crowds in the bustling cities, venture on a nature safari in one of the national parks, relax on the lush green rice terraces, and enjoy the view along the volcano cones lined up over Java, quite a few of them being active. Experience Jakarta the capital city, Bandung in West Java, the jungle of Gede Pangrango National Park in the extreme West and the beaches and Pangandaran NP along the southern coast. Discover the old Royal cities of Yogyakarta and Solo/Suryakarta and the stunning UNESCO sites of Borobodur and Phrambanan nearby, as well as the mystical Diem Plateau not far to the North. Or venture out and visit the remote islands of Karimunjawa. En route from Yogyakarta to the crater of Mt. 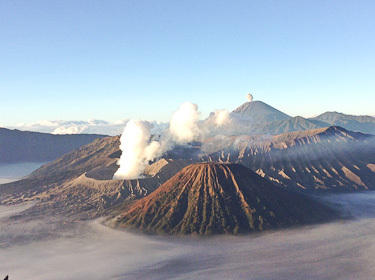 Bromo, break the journey at Seloliman Nature Reserve and learn about traditional medicine. 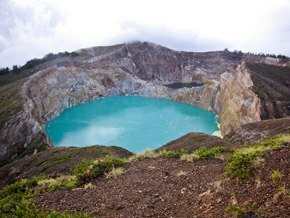 Before boarding the ferry to Bali, spend a couple of days at the Ijen National Park and ascend to the sulphur crater lake. Go hiking at Mount Leuser National Park, one of South-East Asia's most beautiful ones. Bikit Lawang in northern Sumatra is the base to enter the park, and the former renowned rehabilitation centre for orang utans is just across the river. 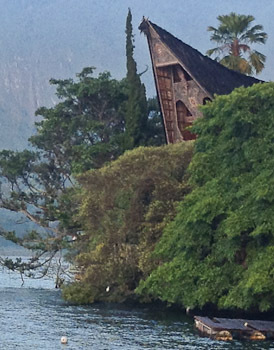 Visit the friendly and hospital people of the Batak up in the mountains, living around stunning Lake Toba. The Batak are famed for their enthralling culture and an inspiring architecture, a little similar to the one of the Toraja people in Sulawesi. Both places are reachable through Medan. Discover the island of Nias, almost the size of Bali and 80 miles off the western coast. The inhabitants could preserve their culture for centuries by being isolated and positioned off the trading routes of that time. In western Sumatra visit the relaxed town of Bukittinggi up in the Highlands, set in a spectacular scenery, and use it as a base for discovering the Minang culture of the local Minangkabau people. A fascinating culture as well, lovely people and avant-gardist architecture. And if you look for a remote tropical beach, cross from Padang over to the Cubadak Islands. Ujung Padang in the South-West was long known as Makassar, and the local Bugis are famed for their skills in boat-building. For centuries they dominated the spice trade within the archipelago. The town kept it's importance, and is considered as the gate to eastern Indonesia until today. A prime reason for visiting Sulawesi is definitely an interest into the Toraja people of Central Sulawesi. Torajaland offers excellent hiking terrain, and accommodation in local villages is available. Amazing architecture and unusual customs and rituals. Diver's Paradise is off the northern coast of this strangely shaped island. Mainly on Bunaken, Gangga Island and Lembeh Strait, but diving cruises are also available from Manado. More remote and relaxed are the Togian islands, but also more difficult to reach. If you look for a nature experience, try the Wartabone National Park or the Tomohon Highlands. The South-East of Sulawesi is remote, rarely visited, covered with vast forests and ethnologicaly quite interesting as well. Go and look into the eye of a Komodo dragon. 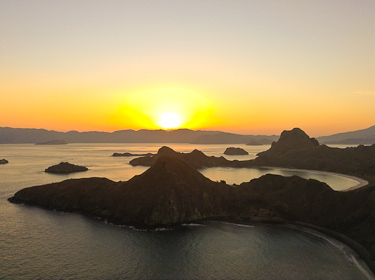 Flights from Bali are available to Labuan Bajo (for Komodo island), Ende and Maumere. The boat ride from Labuan Bajo to Komodo island takes about 4hrs. Usually this trip will combine the visit of several islands with accommodation on a wooden boat and last 3 days. An attractive tour on Flores Island is the route from Ende to Maumere via Mt. Kelimutu and the 3 differently coloured crater lakes. Nowadays diving cruises originating in Flores are available. For a visit to the Komodo dragons you should plan at least 3-4 days from Bali. The overland trip from Ende to Maumere via Mt. Kelimutu would take you 3-4 days. Longer overland excursions on Flores can take up to 12 days. Sumba and Sumbawa are rarely visited. Comfortable boat cruises from Bali to Flores, docking at Sumbawa and Komodo, are available as well (about 7-10 days). One of the most exciting experiences is the once in a lifetime boat-trip up the legendary Mahakham River from Samarinda. Or cross Borneo as a whole, from Samarinda up the rivers, 8 days on foot over the Muller Mountains, and down the rivers arriving at Pontianak. Near Pangkalan Bun at the southern coast you find the Tanjung Puting National Park, home to the Orang Utans. Visit Camp Leakey, Tanjung Harapan and Pondok Tanguy, combined with boat-cruises in the vicinity. A problem can be that Pangkalan Bun is only a small town and flights from/to Jakarta are not regular, wisely count extra time. Or go hiking through the Meratus Mountains and experience the local inhabitants and their culture. Other options are flying into Banjarmasin or Pontianak, traveling inland and hiking to the Dayak people, marvelling at their culture and longhouses. Fly from Jayapura into the highlands to Wamena / Baliem Valley on an altitude of 1500m, home to the friendly Dani people. Venture on a hike over several days along the fringes of the valley. If you intend to visit other ethnic groups outside the Baliem Valley like the Yali, Korowai and Kombai, a missionary plane needs to be chartered (6 seats only, limited luggage) and fly to an airstrip in the jungle. Trek the remaining distance to the settlements of the different groups through the jungle. Visits to the Asmat people at the southern coast also require chartering the mission plane and most likely go through Wamena. The lenght of the itineraries differ between 5 and 16 days from Jayapura. A new and quite exclusive destination are the remote islands and waters of Raja Ampat off the western coast of Papua. Sailing and diving cruises are available. Preferably on Bali and/or Lombok, other options are the southern coast of Java or the northern coast of Sulawesi. ♦ Kerinci Seblat National Park up in the Sumatra highlands with Mt. Kerinci 3800m, the highest active Vulcano in South-East Asia. The ascend takes 12h from Kersik Tuo, split in 2 days. Other tours with treks in the park are available from Padang (average length 6 days). ♦ Gede Pangrango National Park in western Java with Mt. Gede (2960m) and Mt. Pangrango (3020m). Tour/Trek with ascend to the peaks are available from Jakarta (about 5 days). ♦ Bromo Tengger Semeru National Park in the east of Java with Mt. Semeru, and the 8km wide crater at Mt. Bromo containing the Sea of Sand. Tour/Trek with ascend are available from Jakarta or Bali (average 8 days). ♦ Gunung Rinjani National Park on Lombok island with Mt. Rinjani 3726 m, the 3rd highest of Indonesia's vulcanoes. 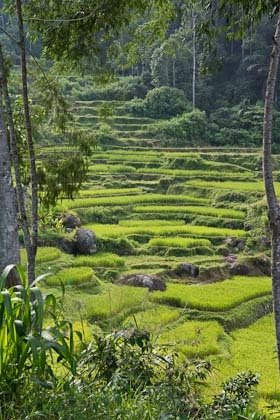 Tour/Trek with ascend from Bali (5 days). Hiring a guide gives you 3 options: Guide accompanying the whole trip from arrival in Indonesia until departure, different local guides at different destinations, or just transfers and hotels (drivers usually speak some English). English speaking guides are widely available, other languages on request.